Palo Suite is a smaller open source BI provider that we recently uncovered. Although they seem to be a little bit less proven that some of the other larger systems such as Jaspersoft, they have some interesting unique features that may make it worth a look. This software is actually a build effort that is sponsored by Jedox, which does the commercial version of the software with support, training, etc… The open source version has full BI functionality though and is free to download. The client list is heavily European, and primarily German, Austrian and Swiss. They also seem to have a greater penetration into the banking and pharmaceutical markets. Novartis, for example, is a key business case presented. OLAP – A server based product for proving OLAP functionality with reports. 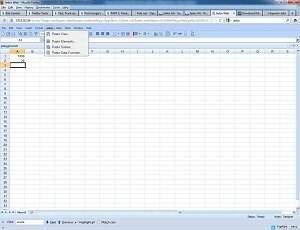 Web- An Internet interface to allow access to OLAP, spreadsheet, ETL, and report viewing. This is also where dashboard functionality is accessed. ETL- A basic ETL tool that supports connection to common data sources, such as Oracle databases and SQL server. The mobile piece doesn’t seem to be included in with the standard download though. However, Jedox has a mobile client available for iPad, iPhone, and Android. The demos there were fairly simple, but showed a few different layouts that could be useful for executives.